Tree Ottawa has long been saying that we will loose 25% of Ottawa trees due to the Emerald Ash Borer. That’s over 20 MILLION trees! A number so high its near impossible to imagine, or visualize. Yes it’s 1 out of every 4 trees we see, but what does that really mean in the big picture? How will this effect Ottawa’s tree canopy? Artist Gwen Frankton has been moved by the devastation that the Emerald Ash Borer has been (and will be) having on Ottawa’s treescape. 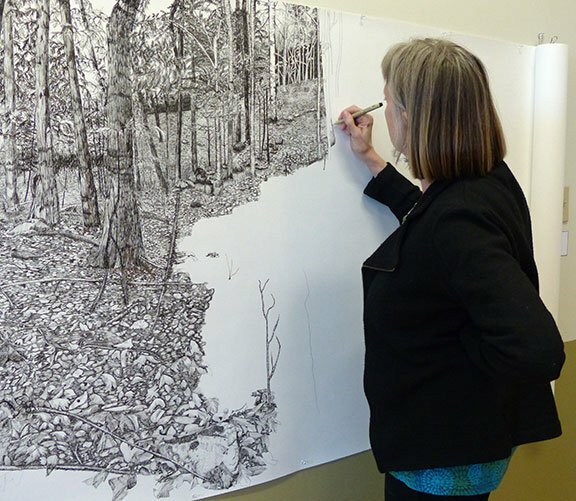 Which is not surprising as her work has historically been displaying the lush beauty of trees in nature. 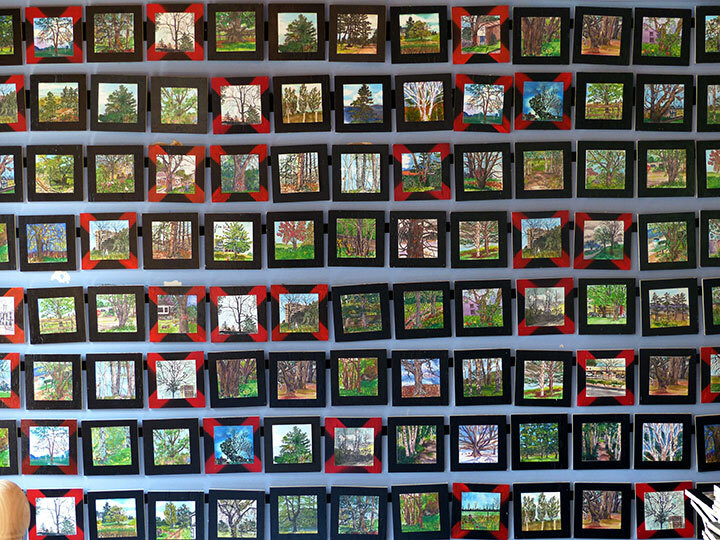 Gwen will have a display of hundreds of miniature tree paintings, including 25% dead Ash trees with a red X spray painted on. This display will truly show the breadth of the devastation Ottawa will see from the Emerald Ash Borer. There will also be a donations box present and anyone who makes a donation can take one of the little paintings. Gwen will then replace the painting with a picture of a sapling, so that by the end of the evening there should have a message of hope on the walls, lots of little saplings! Her display will be at Nuit Blanche this September 19th, a MUST see at this great local event. There will also be a donations box present at the display, and all monies raised will go to Tree Ottawa. Come out to enjoy a lovely night of Local art, amazing culture, and friendly faces! ← Do you have ~3 acres and want it re-planted?